There is an intersection in War that can bring out the best and worst in human nature. As a leader in combat learning to motivate all types of soldiers can be the difference between life and death. On his wildly successful Podcast, Retired Navy SEAL officer Jocko Willink covers first-person accounts of soldiers from generals to frontline riflemen dealing with circumstances and human nature on every level. Through these first hand accounts you get to understand the different levels of fear, the different levels of pressure, what they were thinking, and how they solved real problems on and off the battlefield. When you study these principles, you can gain a better understanding of both combat and war. It also provides you a better understanding of human nature and, ultimately, leadership. Jocko Willink is also the author of several books, including, Co-Authoring the Best Seller, Extreme Ownership: How U.S. Navy SEALs Lead and Win. He is the co-founder of Echelon Front, where he is a leadership instructor, speaker, and executive coach. Jocko spent some time with us revealing some solopreneur leadership strategies and principles he learned on the battlefield to help others lead and win. There are a few people that I truly enjoy listening to. What they have to say is significantly worth my time and attention. They teach me things about myself, about my business and how to improve both. Although these people have gained from their notoriety, I believe this is not their sole pursuit. I believe they want to grow and improve daily themselves. I believe they want to help others grow and improve daily, which is why I’ve chosen to spend my time with them taking in their teachings. Jocko, welcome to the program. I’m a huge fan and I’ve been listening to you for quite a while. When I heard I could get the chance to bring you on the program, it was beyond awesome. I’ve been a consultant prior to working here for about nine years and I mainly help little guys get their products into big-box retail because that’s hard. Back in October of 2015, I created this podcast called On The Shelf. It’s a DIY on how to get your products into big box retail. Who we have out there is a wide group of people and mainly they manage themselves. These are people that created a project product in the garage. They got it made and they’re trying to figure out how to get it into retail. They might have another gig that they’re trying to make money at so that they can do their main gig. It’s difficult for them to get up every day, hear the word no 100 times and keep going. For the 3% of the people that might not know who Jocko is, can you give us a quick rundown? I was in the military for twenty years and when I got done with the military, I started a leadership consulting company. When I started the leadership consulting company, eventually I’ve got a lot of positive feedback. I also got a lot of people that requested that my partner, Leif Babin, and I write the information that we’re putting out, “Do you have any documents? Do you have this stuff written down anywhere?” Eventually, we looked at each other and said, “We better write this stuff down.” Once we wrote our information down about the topics that we talked about and the principles that we teach, it eventually turned into a manuscript for a book. 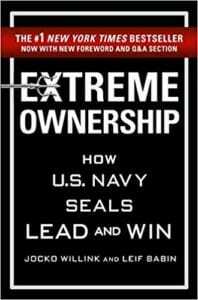 The book ended up being called Extreme Ownership. It ended up doing quite well. As the book was being launched, I was on a couple of very popular podcasts. I was on with Tim Ferriss, who’s got a hugely popular podcast and who’s a great guy. After I was on his podcast, another guy by the name of Joe Rogan, who has another extremely popular podcast, heard me on Tim Ferriss and invited me on his podcast. Both of those guys told me that I should have my own podcast. When people like Joe Rogan and Tim Ferriss tell you to start a podcast, you should listen. I listened and I started a podcast and that became quite popular as well. I continued writing books, recording the podcast, and branching out into all different kinds of things. One of the reasons I’m here is to talk about a tea company that I’ve got where I make a type of tea that I like to drink. I’ve got an apparel company, a supplement company that’s doing quite well and a publishing company that I started. I’ve got my fingers in a lot of different things and starting a lot of different projects, but everything is going great. I know that you have your fingers in a lot of different things. I didn’t even know that you started the publishing company, but I have seen the books. I’m a big fan of Extreme Ownership. The thing that gets me about your podcast and what it’s done for me, my dad was a military guy, but I never wanted to join the military. My dad and I weren’t super close so it wasn’t like I want to be like my dad. I always thought that combat was mayhem like you see on TV or in the movies. I’m sure it can be like that. Reading the books and the firsthand accounts of the people have given me this appreciation that I never had before about the strategic part of combat. There’s somebody out there stepping back from the situation and saying, “These people need to go here and these people need to go here. Those guys are going over there.” That’s doing it, it’s not just people running at each other. It can very quickly escalate into total chaotic situations and sometimes it escalates beyond your control. 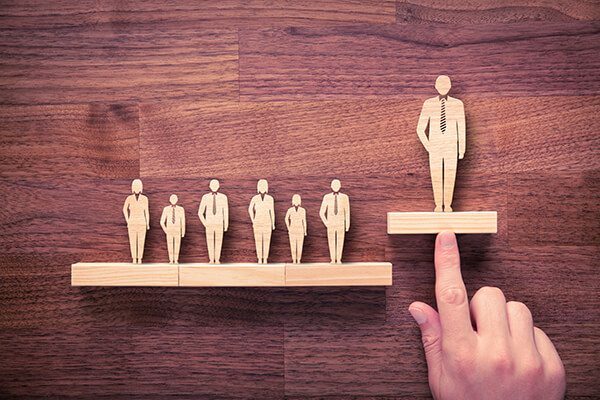 When these chaotic situations occur, a good leader is going to step back and elevate himself mentally and physically to a position where they can assess what is happening. They can make good decisions to lead their troops out of harm’s way or lead their troops to maneuver on and destroy the enemy. There’s an interesting intersection as well that combat and war reveal human nature very clearly. There’s an intersection where war brings out the best and worst in human nature. As a leader in war, you have to learn to deal with all those different sides of human nature. On my podcast, I cover first-person accounts of generals that were leading whole armies and first-person accounts of frontline riflemen that were going from foxhole to foxhole or building to building or street to street. You get to see the different levels of fear, the different levels of pressure, what they were thinking about and how they solve a strategy. When you bring all those things together, it gives you a better understanding of combat and war. It also gives you a better understanding of human nature and ultimately, leadership. I didn’t know enough about it to know that these people weren’t just making decisions on their own and doing their own thing. Listening to your podcast has taken my appreciation to a new level of understanding of the people that lead people into combat. You’ve highlighted some people that were unbelievable at that. When you’re reading those stories, I can already see the correlations crossing over before you talk about it to leadership. It’s given me a better appreciation for what you do. Thank you so much for your service. I’ve changed in how I’ve been viewing it. Speaking of the book, I wanted to tell you that there are two chapters that I liked the most. It was Chapter Six, Simplify. I’m a guy that can get things over complicated. I try not to but even my wife will say, “Come on.” As an entrepreneur, I hate to say no. If somebody asked me, “Tim, can you do this?” “Yes.” “Can you do that?” “Yes.” Then next thing you know, I have too many things going on. I identified with that chapter and interestingly enough Chapter Seven, I’m good at prioritizing and executing but when I do it, I don’t always sit down in the morning and prioritize. Sometimes my day gets going and the next thing you know, it’s nighttime. I dug Leif’s minute-by-minute account, getting onto the roofs and how they had to make that decision. I identify with that one too because when I sit down and prioritize, I execute my map and my day is rock solid. 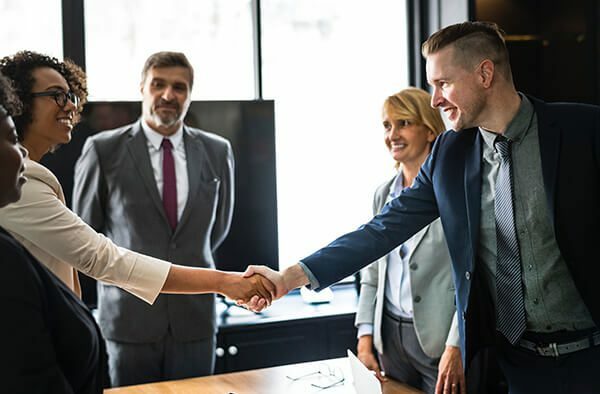 “Finally, the decentralized command is where you push a 40 down and you let the front-line leaders make decisions, instead of doing that so that people on the front lines can make things happen, you want to centralize everything to yourself where we slow down the process of decision making and you can never get ahead of the enemy or competitors, that sounds like a great plan.” People might want to push back out of being a contrarian, but once they sit down and understand the concepts, it’s hard to push back against them. They’re universal principles of leadership. We didn’t make them up, I didn’t make them up. They are things that I learned from the Vietnam SEALS and those guys learned them in combat from their leaders who had learned them. Some of these things are hundreds if not thousands of years old. Leadership Strategies: There are universal principles of leadership. We didn’t make them up. The stuff that Musashi was saying back in the 1500s in The Art of War, it’s all the same stuff again and again. We can’t seem to figure it out. Another reason why the book has done well is that we broke it down fairly simply. We give you a combat example, then break down what the principle is and then give a civilian example so you can see how it works in the civilian sector. It’s been popular since it’s taken some of these concepts which can be simple, but not easy. They can also be hard for people in the civilian sector to understand until they see them overlaid on the civilian sector. I had to listen a lot to your podcast to understand detaching and to make it a concept. It’s a very powerful tool. If you have that, it gives you the ability to see what’s happening instead of getting riled up and caught in the emotions and chaos of a situation. If you can learn to mentally detach from that and separate yourself, you can make infinitely better decisions. What do you think is the most challenging part of managing and leading yourself? What are some pitfalls to watch out for? There are all kinds of challenges when it comes to leading yourself. One of the biggest things that you have to watch out for is letting your ego get out of control. When you let your ego start to grow and you start to believe in your own hype, that’s problematic because of what it does to your mindset. When we would fire someone from a leadership position in the SEAL teams, we would always be firing that person not because they didn’t know how to shoot their gun or they weren’t in good physical condition, we would be firing them because they lacked humility. When you lack humility, it warps your mindset and you don’t listen to anyone else up or down the chain of command. When you don’t listen to people, you don’t take advice and that means you’re not going to change any of your methodologies. That’s problematic. When you’re not humble, you don’t respect your enemy. If you don’t respect your enemy because you think you’re better than them, that’s when you stop training as much as you should and that’s when you get caught because you have a lack of humility. Pitfalls would be the emotional part, that’s how you connect and start to see it. How can a single business person stand out against other business people with possibly more resources? As a solopreneur with your own product, coming to an ECRM session, they are up against other people that have way more resources than them. In those situations, you want to build good relationships. You’re a person that can connect with people on a deeper level. You can give more attention to people and that’s powerful. In the special operations community, we’re always smaller than other units that we’re working with. How do we have a big impact on the battlefield? We make connections. We build relationships with the conventional forces so they can support us and we can support them. We make connections with the host nation wherever we’re working. When we were working in Iraq, we worked with the Iraqi soldiers and utilized their skill sets to the best of our ability to make us stronger. When you’re working alone, one thing that you have is your person. You personalize it. When you get someone’s business card, you specifically follow-up with them, and you start to build a relationship, that’s significantly more important than the power of having a huge company behind you. Being nimble is absolutely important, but it’s to take nimble one step further. If you are running something, that means everyone gets to talk to the CEO. That’s a very positive thing. Don’t look at it as a disadvantage that you’re small. Look at it as an advantage for your potential clients where they get to talk right to the CEO. Leadership Strategies: Don’t look at it as a disadvantage that you’re small. Look at it as an advantage for your potential clients where they get to talk right to the CEO. Have you ever had to course-correct to achieve a goal? Do you consider that failing or quitting on your original course of action? People get in the mindset of like, “I’m not going to give up. I’m not going to quit.” They pick a course of action and once they start going down on that course of action, it’s not an effective course of action. Instead of taking a step back, detaching, assessing the course of actions and saying, “This isn’t quite working the way I wanted it to. I need to try something else.” Instead, they continue to go in the same direction and course and they chew themselves up. They destroy themselves because their plan isn’t a good plan. Even though you never want to quit, you still have to be smart. You have to be smart enough to take a step back and say, “I’m not going to quit, but the approach I’m using is not working.” If I said, “Tim, I want you to attack that bunkered machine gun nest in an elevated position up that hill. There are enemies in there, I want you to take your squat and go attack it up the hill.” That’s a suicide mission. If you took your squad and started running up the hill towards an elevated bunkered-in machine gun, you would all die. Maybe you take a step on the field, and you see the massive machine gun fire coming your way. Instead of charging, you put your head down, you look at me and say, “This isn’t a good idea, we’re going to come up with a different plan. We’re going to put some suppressive fire in that way and come around to the flank. We’re going to throw grenades to distract them and then we’re going to get it.” Is that quitting? No, that’s surviving and more importantly, that’s winning. “All those potential buyers didn’t understand. They’re dumb, they didn’t get it.” That’s a really good signal that you should look at yourself in the mirror because the information that you’re giving them wasn’t hitting correctly. You need to make an adjustment to your plan. Do you think that there are cues that you get from people when you’re about to give a talk and they’re either getting it or not? Do you pick up on that? I’ve gotten some unbelievable feedback on that question. The question that I got on the podcast was, “I’m trying to be more assertive, but I keep getting interrupted by people. What do I do? How can I be more assertive?” The most simplistic answer is, “You need to assert yourself harder and talk louder.” I gave the opposite because this is exactly what I do, “If there’s someone that wants to talk over me, I’ll let them talk. I’ll let them carry on a conversation in a group of four or five people.” I’m one of those people where if I haven’t gotten a word in, I’m going to let them talk until they’re done talking. What happened? Number one, I know all of their thoughts. I’ve heard them argue against each other, so now I know their points and counterpoints. When I finally do say something, it’s impactful because I’m not the one that’s been running my mouth the whole time. I’ve been doing this a long time and there is no other place on the planet that you can sell products like you can here. The average person can come here and meet with 40 buyers in two and a half days. They could never do that, especially since I work here with international companies, they can’t come here and meet with 40 buyers. It would take him ten years. It’s a good platform and I’m glad to see you selling your tea or at least exploring that. There’s a convenience EPPS, which would be better for you because you can see this on the shelves of convenience stores across the country. I’m a novice at this and I’ve been doing what I’ve been doing my whole life, which is doing what I do to the best of my ability. The doors either open up and I move forward through them or they don’t open up and I look for something else, but I continue what I know to do to the best of my ability. What is the one piece of advice you would give to somebody who is trying to beat the odds? When you get a product on the shelf, you’re the 1% now and it’s a huge accomplishment. Discipline equals freedom. You have discipline in what you’re doing. If you’re trying to create something, you have to have discipline around making that product. When I was making my tea, I went back over and over again to the manufacturer saying, “It’s not quite right.” When I make apparel, I want the apparel to be perfect. When I have supplements, I go back and drive my supplement manufacturers crazy because I want them to taste and feel right. I want them to do the right thing. I stay highly disciplined. I don’t get anxious. I don’t get impatient with trying to get something done. I have the discipline to make it right. Leadership Strategies: If you’re trying to create something, you have to have discipline around making that product. It’s work doing all these things. The primary mode that I’m in for getting my products out there isn’t through traditional retail channels, it’s because of my podcast. I have a consulting company where I spend many hours traveling and working with companies. I spend 40 to 60 hours a week doing that. I’ve written several books and I’m continuing to write books. On top of all that, I have a wife and four kids. I’ve got to get this podcast out and my podcast is very labor intensive. The recording itself takes between two to five hours, but the preparation for it, reading the book, doing the research, highlighting, figuring out how I’m going to chronologically go through the book, it takes fifteen to twenty hours a week. I enjoy doing it, but there are times where I have to sacrifice and impose discipline on myself to make that work happen and that’s the difference. When you put the discipline in and you do the work that you’re supposed to do, eventually you’re going to get the success and freedom that you want. Just because you work hard doesn’t mean that results are going to come. If you’re working hard and continuing to work hard and not getting the results you want, then you have to put your ego in check, take some humble pie and say, “Maybe this isn’t what I thought it was. Maybe I’m approaching this wrong way. Maybe the product that is incredible isn’t that incredible to other people? Do I need a different product? Do I need to change the way it tastes? Do I need to change the way it feels? Do I need to change the outcome? Do I need to change the packaging or the way I’m doing this?” All those things are what you need to look at. 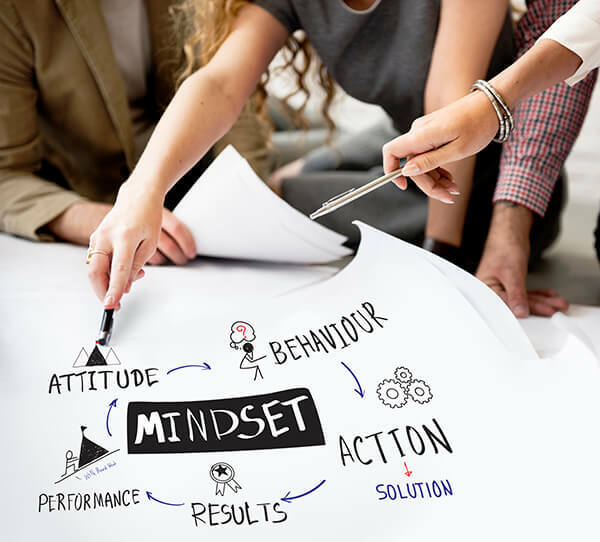 If you get stuck in the mindset that, “This is the most incredible product to me and everyone else should believe that,” but you’re not getting the results, that’s an indicator that you need to check yourself and do a reassessment of how you’re going forward. There’s a level of balance that you have to have as a leader and as a human being. There’s a balance of these different things that are going on in your life. The next book we have coming out is called The Dichotomy of Leadership because there are things that are pulling on you as a leader in multiple different directions. If you don’t find balance in those, you’re going to get thrown off-course. Another thing that I talk about a lot is being balanced. Let’s say that you’re someone I’m trying to sell to and I’m going, “I’m going to be aggressive,” and I call you ten times a day. You’re obviously going to hang up. You’re not going to want to talk to me, you’re going to block my number. The other side of the spectrum is I call you and once you say, “No,” I go follow-up and you said, “No,” so now I’m going to forget about it. What’s the right approach? The right approach is a good follow-up. “I’m not going to overwhelm you, but I’m going to talk to you enough to keep you in mind and keep me in your mind. What I’m trying to do is build a good relationship with you so that we can have a real conversation that maybe we can move forward.” Being too aggressive is going to turn you off and being not aggressive enough is going to make me disappear from your mind. We have to find a balance. Did you ever think that you would be a storyteller? I listened to radio shows when I was a kid, so I always appreciated that medium of hearing stories. I definitely told stories to other kids, whether it’s a talented joke of how something happened. I enjoy the medium and I know that when I was starting the podcast that that’s something that I would enjoy doing. This whole trajectory of my life is quite a bit of a surprise. When I retired from the Navy, I thought, “I’m going to go surf, do Jujitsu and hang out with my wife and kids.” As much as I sit around and talk about having a plan and knowing what your direction is, this was all unplanned. Even the podcast is coming up on three years old, but four years ago I never would have thought in a million years I would have a medium like that. It’s the same thing with the books. When I was in the military, I’d never thought of writing a book at all. If I would have thought of that, I would have taken more pictures between Leif and I who wrote the books. We don’t have that many pictures of us. We missed the real digital era of helmet cams because guys have held cameras on their helmets, cameras overhead and cameras on their weapons. Before, cameras were bigger, so you’re carrying combat gear, you want to take an extra pounds-worth of a camera, that is not happening. We were fighting a war, we weren’t thinking about, “I want to take cool pictures.” We ended up with limited pictures. For the book that’s coming out, we’ve got some of the combat photographers that were on the ground with us in the battle of Ramadi. We’ve got some great pictures that happen to catch us at the right time. I don’t say that to him, but the reality is I would sit there and listen to those guys talk all day. The guys that I have on my podcast have incredible stories to tell. To be able to sit down with these guys and listen to their stories, it’s a complete honor for me. Leadership Strategies: The guys that I have on my podcast have incredible stories to tell. To be able to sit down with them guys and listen to their stories is a complete honor for me. They were thanking you for the ability to tell their story because this is the last time. Maybe they won’t tell that story in its entirety again in their whole life, so this is a place where that story lives and therefore, they and what they’ve done will live on. I had Mike Thornton who was awarded the Medal of Honor and he’s a SEAL Vietnam. I was in the SEAL teams for twenty years and I never got a debrief like that on every single thing that happened on that mission, what went right, what went wrong. I learned so much from that. To think that I had the honor of capturing that story and historical documentation of what he went through and then pass it onto the next generation of SEALs, soldiers, Marines and other leaders in the world, it’s incredible. I had another guy on, Fred Harvey, who was a Marine that landed at Iwo Jima. His Marine Corps company went onto the beach with 243 people and fourteen walked off the island. To have the honor of being able to sit and listen and then record that historical documentation of what those individuals went through, it’s an honor for me and I’m so blessed that I’m in this situation. We barely even edit my podcast, that’s another reason why the podcasts are long. There are details and everything, I like to hear them and I want to hear them. If it’s too long for some people, then they don’t have to listen to it. Jocko, it’s been an honor to have you on the podcast. I can’t thank you enough for taking the time. I know you’re super busy with 50 companies that you’re working on. It’s been great to meet you in person. Thanks for having me on. I appreciate it. Jocko has efficiently taken all of us to school. I hope that you enjoyed it. I was a bit nervous at the beginning since Jocko is a larger-than-life person. However, my nervousness diminished right away. Jocko is an easy-going person, he put me to ease immediately. I ended up having a great time during the talk and probably even gushed a bit being a huge fan, but that’s okay. Please go to OnTheShelf.com and leave a comment letting us know what you personally learned from the show. I want to know from the stuff that we talked about, what hit you, what meant something, and what you got out of it. It’s important. I want to see the discussion start to take place as you put some of these things into practice because these are practical things. These are not huge problematic changes that you’re going to have to make in your life or business. These are things that you can blink your eyes and start doing right away. There’s nothing here that you’re going to have to make a list for, ramp up for and say, “I’m going to put these things into practice on Monday.” None of that exists here, these are practical things. These are things that you can do right now. I can’t wait to see what you come up with and I can’t wait to hear the conversation that gets started. 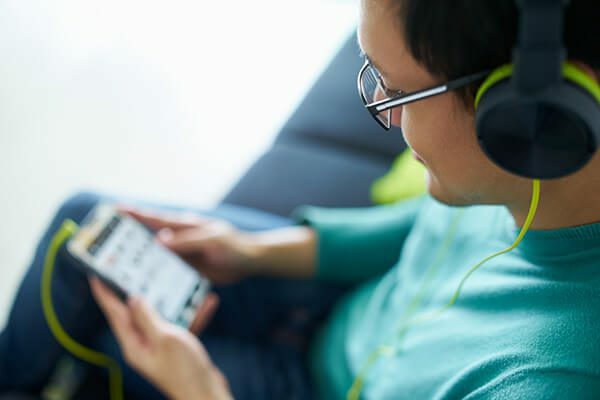 I had a comment from somebody in our Facebook group and they had finished listening to the podcast on the Best Ways to Approach a Buyer via Email or some of the email strategies that we had put out. She had taken those to heart and put those into practice. She had sent out an email where she received an immediate reply. After a little bit of discussion, it turns out that they’re going to test her product. She came on and she shared that with us on the closed Facebook group. It feels good when you do something and people respond. It feels great when you don’t give up, keep going and it works out. It’s going to work out. You are all smart, you have great products. I know that if you hold the line, you’re going to get there. I look forward to speaking with you again soon. Until then, I look forward to seeing your products on the shelf. 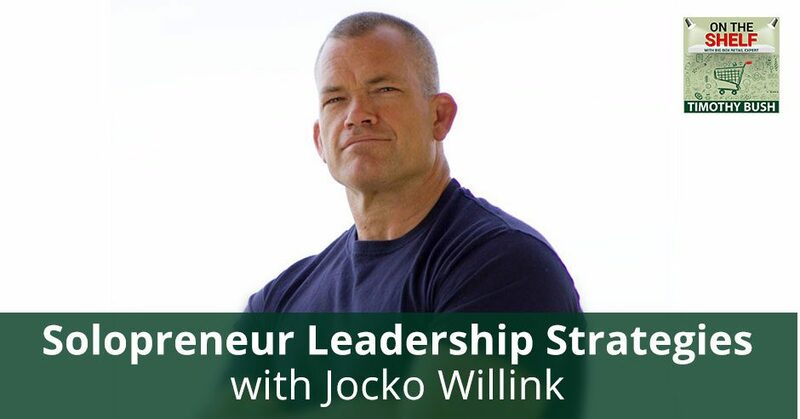 JOCKO WILLINK is a decorated retired Navy SEAL officer, author of the book Extreme Ownership: How U.S. Navy SEALs Lead and Win, and co-founder of Echelon Front, where he is a leadership instructor, speaker, and executive coach. Jocko spent 20 years in the U.S. Navy SEAL Teams, starting as an enlisted SEAL and rising through the ranks to become a SEAL officer. As commander of SEAL Team Three’s Task Unit Bruiser during the battle of Ramadi, he orchestrated SEAL operations that helped the “Ready First” Brigade of the US Army’s First Armored Division bring stability to the violent, war-torn city.Task Unit Bruiser became the most highly decorated Special Operations Unit of the Iraq War. Jocko returned from Iraq to serve as Officer-in-Charge of training for all West Coast SEAL Teams. There, he spearheaded the development of leadership training and personally instructed and mentored the next generation of SEAL leaders who have continued to perform with great success on the battlefield.